Happy 100th Birthday, Gene Kelly! 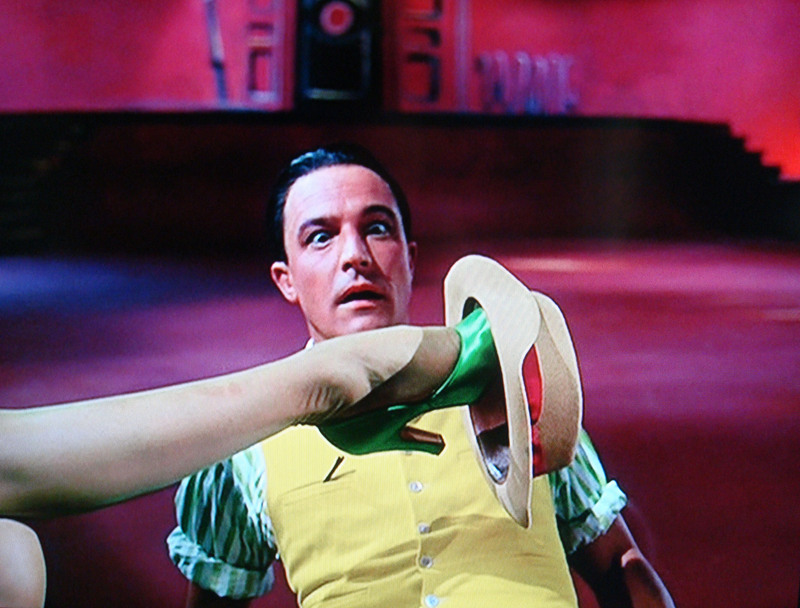 Today is Gene Kelly’s 100th birthday (born August 23, 1912), and I’ve been waiting for a year to talk about it! One thing that you just don’t see today is a lot of movie musicals. Sure, Chicago is pretty fabulous and started a pretty minor movie musical revival. But I’d argue that nothing comes close to the MGM musicals of the 1920s-1940s in any way: performers, material, costume design, set design, direction, or historical/artistic significance. And in my opinion, one of the greatest triple (quadruple? quintuple?) threats to come from that era was Gene Kelly. What’s so great about Gene Kelly? Then there are the little details that make my heart (closed to many these days) go pitter-pat. How his dancer thighs look in 1940s-era trousers. An expressive face that can go from furrowed brow to intimate smile in two seconds flat. Stories from his costars, from slipping a 19 year old Debbie Reynolds the tongue in the last shot of Singin’ in the Rain, to Cyd Charisse’s claim of his strength: “when he lifts you, he lifts you!” Knowing that he choreographed and performed in what is probably my all-time favorite movie musical number: “Prehistoric Man” from On the Town. Sigh! Unfortunately I don’t know a lot about the real life Gene Kelly, but I’ve heard several anecdotes that lead me to believe he was by and large a swell guy. The only reason I haven’t already read more about him is that I enjoy his film persona so much and don’t want to find out any ugly secrets, like that his tap shoes were made out of kittens or something. A girl sometimes needs to keep hope alive, especially when it comes to people who make your heart go pitter-pat. When I do face my fears about reading Gene Kelly biographies, I suspect I’ll be aiming to read Gene Kelly: A Life of Dance and Dreams by Alvin Yudkoff or Gene Kelly: A Biography by Clive Hirschhorn. There don’t seem to be a plethora of biographies on the market, or one that is more well-reputed than others though—so if you have any recommendations, suggest away! On the web, there is a lot to like about Gene Kelly Fans, a site run by Kelli Marshall, a film professor. Marshall often posts articles about some little-known facets of Kelly’s career, including his hairpiece and how he got the scar on his cheek. In fact, Gene Kelly Fans has been celebrating all year with 100 Reasons to Celebrate Gene Kelly. I adore Gene Kelly. He is so much a part of my childhood memories he feels like a part of my family. How wonderful to celebrate his 100th Birthday! He was talented, funny, handsome and just a good guy. 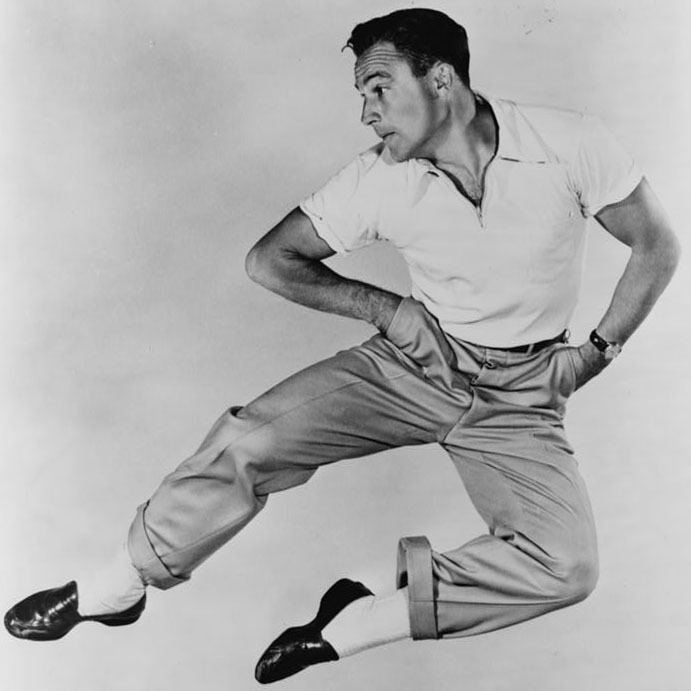 The world could use a generous dose of Gene Kelly today! Thanks for the reminder!